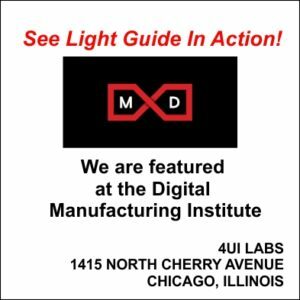 Manufacturing at the Speed of Light! 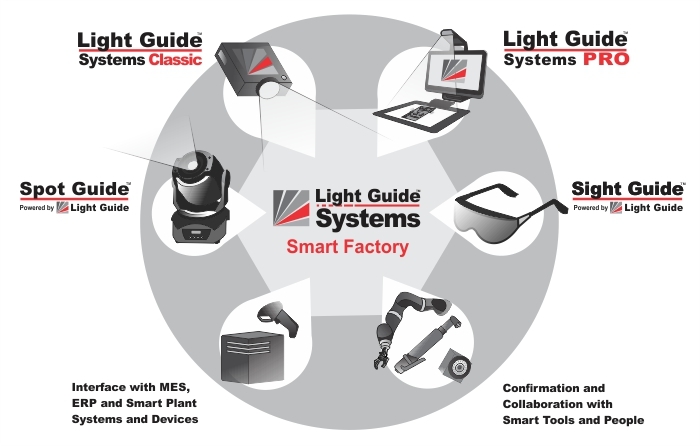 Designed to make factory floors smarter, safer and better, Light Guide Systems (LGS) is an augmented reality tool that is transforming manual assembly and manufacturing processes for companies around the globe. By projecting a digital operating “canvas” directly onto virtually any work surface and providing audio and visual prompts, guidance, pacing and direction, LGS drives manual processes with speed and precision. That means each product is built perfectly. Every time. 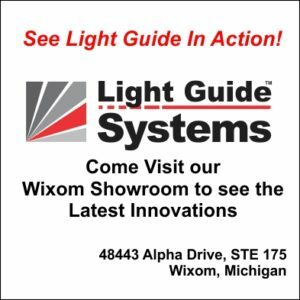 Light Guide Systems is working with HP Inc., to launch a new technology tool—Light Guide Systems Pro. Utilizing the immersive computing platform Sprout PRO by HP, Light Guide Systems PRO modernizes manual assembly processes in commercial and education applications. 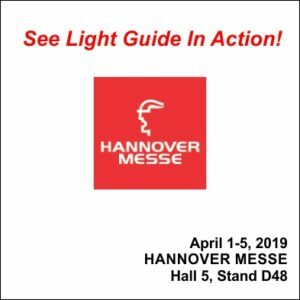 Click the button below to view the Light Guide PRO video. Flexible, scalable and customizable, LGS is designed to error-proof and streamline manual operations involving part selection, kitting, assembly, inspection or maintenance. It also provides users with automatic confirmation: not only does the system show the operator what to do, it confirms that the task has been completed. At the same time, the system provides valuable real-time data and traceability, allowing clients to adjust their lines, products and personnel to maximize outcomes. LGS combines operator intelligence with the error proofing of standardized sequencing. The system is portable and can be moved to any workstation to solve issues that may arise. Our system replaces complicated written work instructions with an intuitive and intelligent guidance program – keeping your operator’s eyes on the task at hand, rather than a cumbersome manual. It transforms the operator’s role from the complex to the simple—all they have to do is follow the lights. LGS’s user-friendly interface ensures that the approved operator sequence is followed correctly each and every time, causing dramatic improvements in productivity and training. Additionally, employing LGS to self-train new operators can provide a benchmark for the amount of time each task should take to complete. 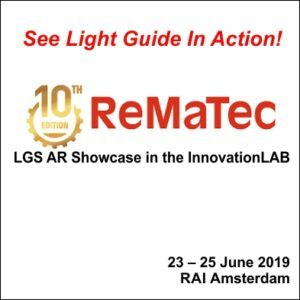 As world-class companies design more product variation than ever before, the ability of LGS to quickly reconfigure for new tasks saves time, money and resources. It helps operators manage complicated processes without sacrificing quality or productivity. LGS standardizes the assembly steps for each product variant—in effect making the complex process simple. Since a quality confirmation is required after each assembly step, LGS ensures that every part has been assembled correctly.